Callisto returns as the Morlocks prepare to attack the surface world. Late one night, a badly injured Callisto and the Morlock Healer arrive at the mansion. 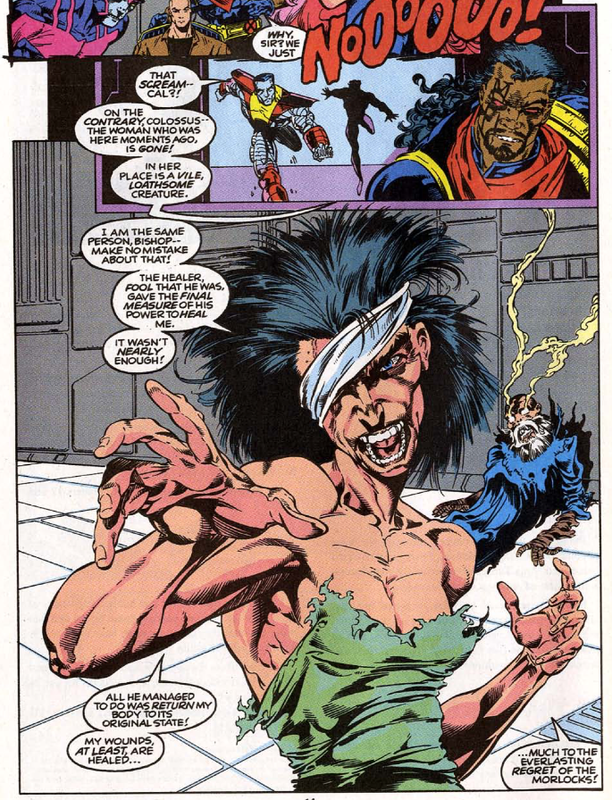 Reading Callisto's mind, Xavier learns they were attacked by Morlocks after the Healer tried to enlist Callisto's aid in leading them after Masque's recent death. Xavier insists the X-Men must help the Morlocks break this cycle of violence, though Mikhail, who someone managed to join Xavier's psychic link, disagrees. As the X-Men debate their course of action, the Healer uses the last of his strength to heal Callisto, in the process restoring her original appearance, and she vows vengeance on the Morlocks. Meanwhile, a mysterious figure visits an incapacitated patient at a nursing home whom he calls humanity's last hope. 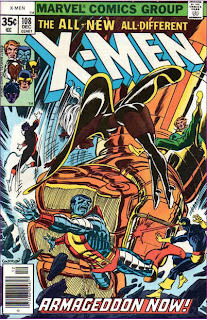 That night, the X-Men, including Professor X, enter the Morlock Tunnels to find the Morlocks tearing themselves apart. Back at the mansion, Iceman, who stayed behind to guard Callisto, is confronted by Mikhail, who demands Callisto be released. 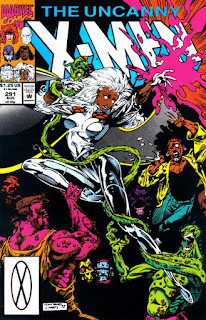 In the tunnels, as the X-Men try to stop the Morlocks from killing themselves, a group swarms Storm, triggering her claustrophobia and causing her to blast a route to the surface, out of which the Morlocks pour. 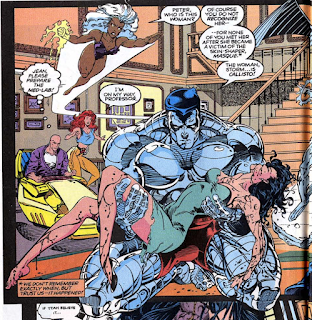 Callisto, last seen after being given a makeover by Masque cuddling up with Colossus as "Peter Nicholas", returns this issue, along with the Morlock Healer (last seen on Muir Island during the Reavers' attack in issue #253-255), who uses the last of his life to heal Callisto, which reverts her to her previous, less attractive look. In a brief subplot page, we see an individual visiting someone in a hospital. 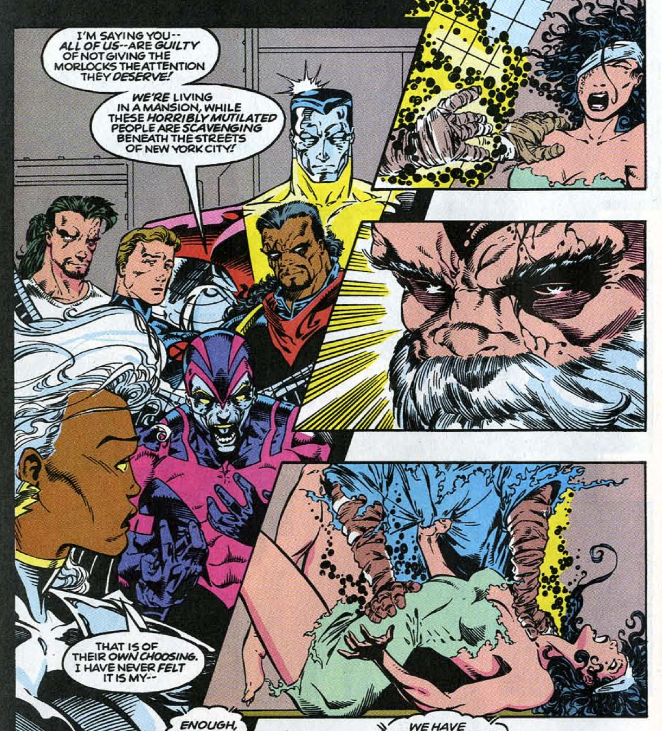 This will eventually turn out to be Stephen Lang, one-time creator of Sentinels, who after his appearance here will be used to help the Friends of Humanity (his visitor here emphasizes the word "friend", seemingly a nod towards that yet-to-be-created group) create the Phalanx, techno-organic beings (like Warlock) who will menace the X-Men in the "Phalanx Covenant" crossover. 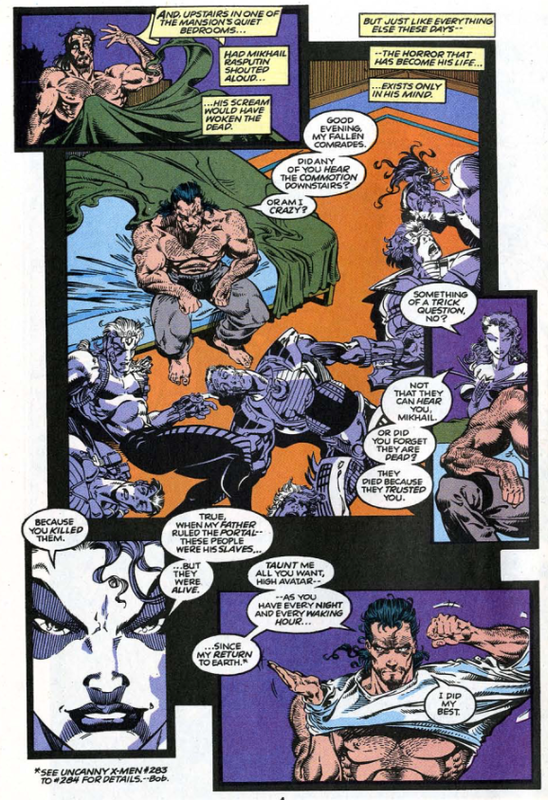 However, I don't think Lobdell had any of that in mind when writing this issue, thus making this the first instance of what will become a signature style of Lobdell's: introducing a mystery just for the sake of a mystery, with no specific idea in mind for how to pay it off at the time it's introduced (see also: Onslaught). I remember being obsessed with this mystery as a kid; "Phalanx Covenant" is only a few years away, publication time, but reading these in real-time, that was a long time, and it felt like whatever mystery this was meant to tease was left dangling forever back then. Tom Raney provides the art for this issue (and the rest of the story). He's billed as a guest penciler, but the truth is, the series has no regular artist at this point (Brandon Petersen will come aboard with issue #294 and still around for six issues before giving way to a short return run for John Romita Jr.). More bad footnoting, as nobody could be bothered to look up when Callisto last appeared. 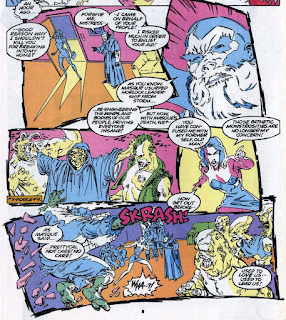 Mikhail is seeing more visions of dead people, and ends the issue confronting Iceman and allying himself with Callisto. 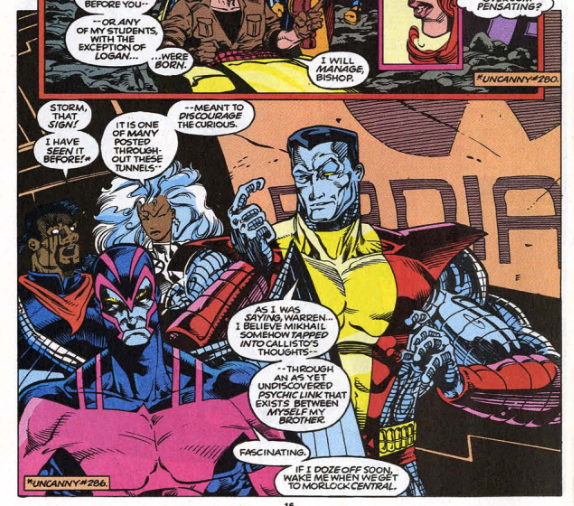 It's noted that Masque warped the minds of the Morlocks as well as their bodies (which isn't really how his power ever worked before but does make for a nice explanation of why they'd follow him). This issue also acknowledges his death over in X-Force. Archangel argues that his transformation is a direct result of the X-Men not giving the Morlocks the attention they deserve. Bishop recognizes one of the radiation signs in the Morlock Tunnels from when he discovered Jean Grey's message in the future, from Uncanny X-Men #287 (though the footnote is, once again, wrong). 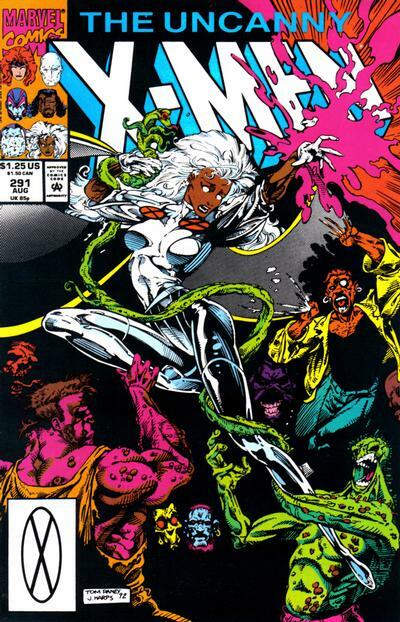 Storm compares her leadership of the Morlocks to her relationship with Forge, casualties of her efforts to secure her place with the X-Men. Frankly, the most outlandish thing this issue is the narration's assertion that the mansion reverberated with laughter as a result of Jay Leno's monologue. This month contains the last Cool-o-Meter, one which ranks things that include "cool" in the name. 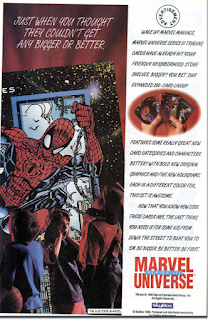 The third series of Marvel Universe trading cards has an ad in this issue. This issue kicks off a three-part "Scott Lobdell Gets Rid of Mikhail Rasputin and Tries to Wipe Out the Morlocks, Again" story, and it's a bit of an odd one, sandwiched between the brief Image Era and the "X-Cutioner's Song" crossover that does its best to tie off that era and start a new one. As a result, it feels very fill-in-y, with a "guest" artist required to cover the gap while Marvel scrambles to fill the void left by the Image Exodus, even though the story is actually accomplishes something somewhat significant in, for the most part, getting rid of the Morlocks for a good long while. It's also something of a throwback, a traditionally-structured three-parter featuring the whole team in action (even Professor X goes out in the field). 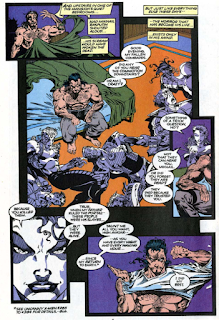 And as much as the start of the Image Era on this series was about a break with the past, Lobdell continues, as he did in the previous two issues, to show at least a cursory familiarity with X-history and a willingness to use it, as he brings back Callisto and references her brief relationship with a post-Siege Perilous Colossus to set-up her partnership with narrative anchor Mikhail, and using her as the entry point into the larger Morlock story. Tomorrow, X-Force vs. Weapon: Prime, the fight no one wanted, in X-Force #13. 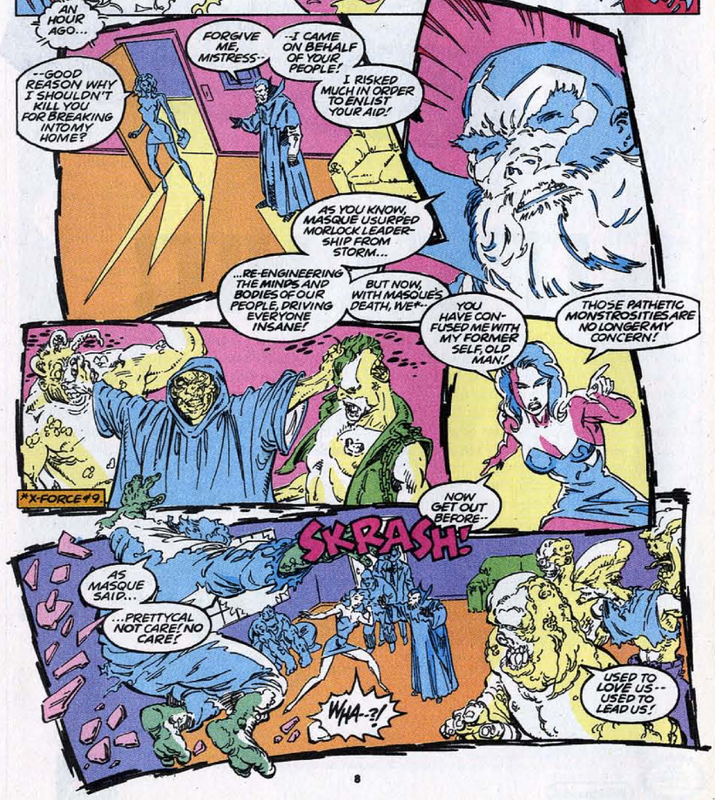 Friday, X-Factor vs. Cyber in X-Factor #81. Next week, Jim Lee says goodbye in X-Men #11. Kool Moe Dee should not have been anywhere near the top of a coolometer in '92 (and certainly not above his long-time nemesis LL Cool J). 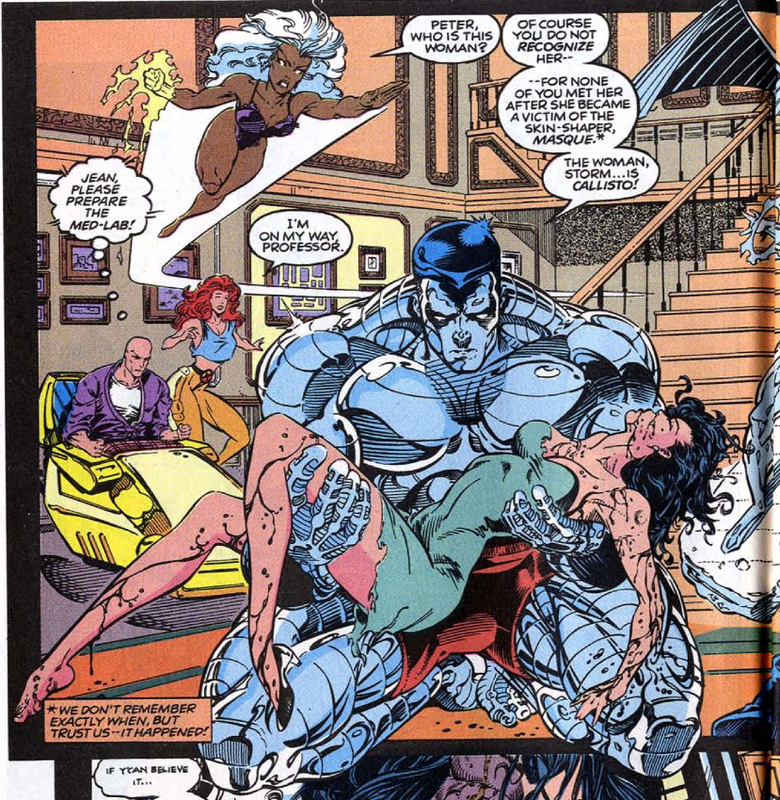 But Tom Raney here is better than any Whilce Portacio draw. I was suspected that the hospital subplot hadn't being planned to result in "Phalanx Covenant", thanks for the confirmation. By the way, in Brazilian translations, it was never clear that Friends of Humanity were supporting the whole Phalanx deal. Sorry for my bad English, I'm a Brazilian X-maniac. Raney's art is pretty good in this story. I run hot or cold on his work depending on the book, but it fits the grotesquerie of the Morlocks well. Also, even in the English books, the FoH/Phalanx connection was tenuous, at best. It's there, but it's never really made out to be a big deal. And no need to apologize for your English; it's better than many Americans' English. Thanks for reading! Some of the members of the Friends of Humanity volunteered to become Phalanx. 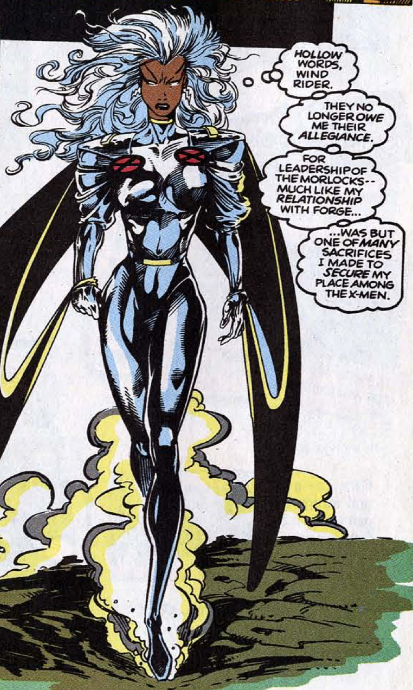 This was revealed in X-Factor #106. They needed Lang to be human host/Borg Queen for the Phalanx group mind. I think the guy with Stephen Lang might be intended to be Graydon Creed with hair miscolored. Graydon Creed's first appearance is usually attributed to #299. I never cared much for Callisto but the whole “Now that I’m beautiful I don’t wanna have anything to do with the Morlocks!” thing doesn’t gibe at all with how I read her character in her early appearances. And it literally brings her to tears, right there as she walks a gauntlet of Morlocks. I realize the claustrophobia may have been taking hold, but it still feels a bit much. Wow, Cool Whip is way lower on the Cool-O-Meter than it should be. I think something is slightly off with your credits up there. You list Lobdell as "Writer" and John Byrne as "Script", though Byrne is long gone at this point. 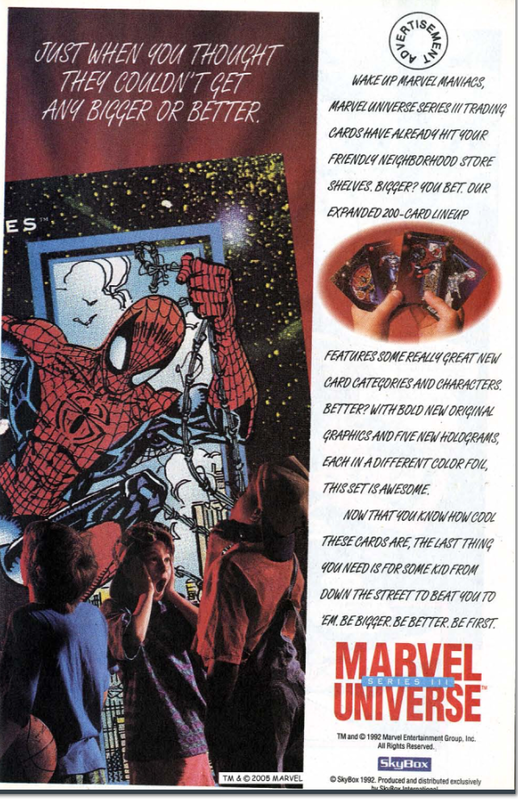 "...making this the first instance of what will become a signature style of Lobdell's: introducing a mystery just for the sake of a mystery, with no specific idea in mind for how to pay it off at the time it's introduced..."
I know I've said it before, but I really don't mind this style of writing. Yes, it can lead to some unfortunate danglers and continuity glitches, but there's something really appealing to me about a writer just making it up as they go along. I can't explain why. So the Friends of Humanity created the Phalanx?? Somehow I never knew that! Does that tidbit come up at all in "Phalanx Covenant"? I've read the crossover numerous times, but very rarely have I read any of the prior appearances by the Phalanx. Lastly, I like Tom Raney's artwork here. I don't know that I've ever read him on anything in a regular capacity, but I always enjoyed his guest-spots in the nineties and I think they still mostly hold up. 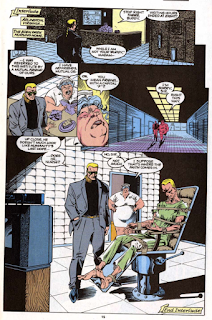 Have we already talked about how Larry Hama didn't plan stuff in advance either? I think Hama was much better at writing that way than was Lobdell. Which is not to say that Lobdell isn't Lovely, or so my phone seems to want me to say. I feel like I’ve seen Raney’s art somewhere that I appreciated it, but too much of what’s in this issue is not quite ready for prime time / first string / the major league / [your preferred metaphor] in my eyes. That being said, I can definitely see potential in aspects of his style here and this era is when style clearly outranked foundational ability. Raney has more of the latter than Liefeld, his clones or wannabes or associates, and even McFarlane, although the end result needs some work.